Whether you’re a solo adventurist or head of your household, you’ll love everything about the new 2018 Honda CR-V. Head to Honda of Olathe to get a firsthand glimpse of the new CR-V, a new Honda SUV that’s hard to beat. Perfect for road trips across Missouri and easy drives around town, the new Honda CR-V has the awards to back up its standing as the best SUV on the market. 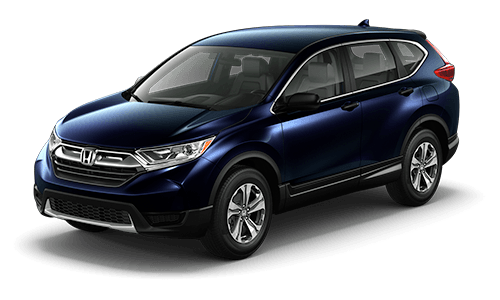 See why the 2018 CR-V was named the 2018 Motor Trend SUV of the Year, as well as a Kelley Blue Book 2018 Best Buy: Small SUV/Crossover.1 Compare the 2018 Honda CR-V to the 2018 GMC Terrain, then head to our Honda dealership near Kansas City, MO. The refined yet advanced cabin of the 2018 Honda CR-V provides Kansas City drivers with a home away from home. 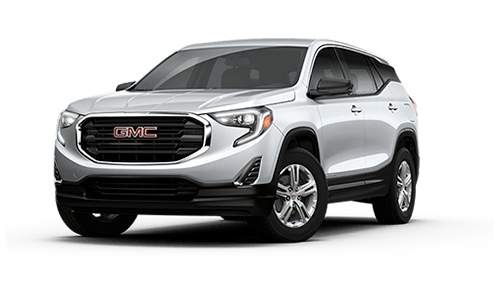 Standard Easy Fold-Down 60/40 Split Rear seats can store up to 75.8 cubic feet of cargo, a number that blows away what the GMC Terrain can offer. Allow standard Pandora® compatibility to help set the in-car atmosphere you desire and never get lost again with the optional Honda Satellite-Linked Navigation System™ with Voice Recognition. Accelerate across Kansas-Missouri state lines with a standard 2.4-liter engine that outputs 184 horsepower in the CR-V, whereas the Terrain SUV’s standard engine only produces 170 horsepower. Plus, with a higher highway mpg to its name, you’ll be able to spend more time on the road with the Honda CR-V. Perhaps most importantly, the 2018 Honda CR-V boasts safety in spades. The available Honda Sensing® suite comes with features like a Road Departure Mitigation System and Lane Departure Warning. Still not convinced that the new Honda CR-V is better than the new GMC Terrain? Compare the two SUVs with the chart above, then head to Honda of Olathe to test-drive this new Honda SUV today! 4 Government 5-star safety ratings are part of the US department of transportation’s new car assessment program. (www.safercar.gov) Model tested with standard side airbags (SAB).